BE A KTF CRAFT VENDOR! 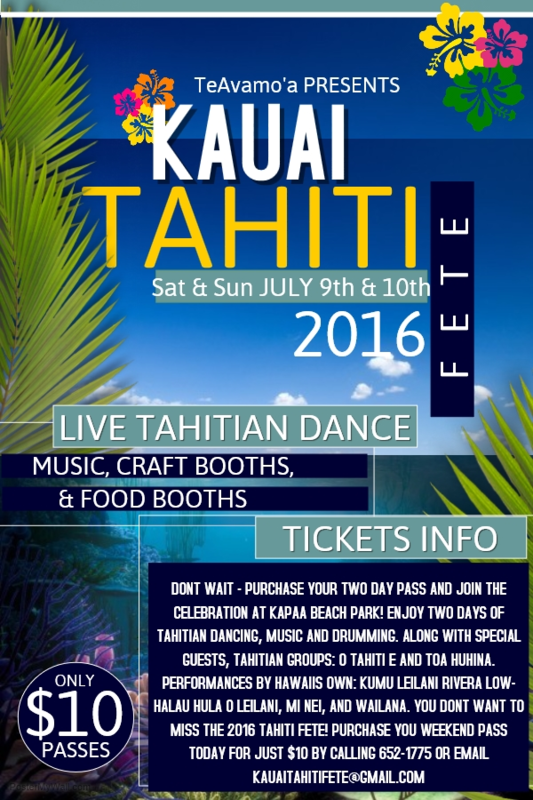 KTF is looking for local craft vendors who make Hawaii made and island inspired products to sell at the Kauai Tahiti Fete 2016. This opportunity will reach hundreds of visitors and locals alike! For more information on rules and restrictions, please click to view and print an application!